A Hearty Welcome to the Cave Run Youth Sailing Academy, Ltd.! CRSA has a new non-profit wing, the Cave Run Youth Sailing Academy, which will open more doors and unfurl more jibs, for our youth sailing program. Like many ‘traditional’ sports, sailing competes with other outdoor activities such as soccer, lacrosse, and ultimate Frisbee. Plus robotics competitions, saxophone lessons and ‘shipping’ (did you know latest term for boys and girls ‘dating?’) all vie for the attention of our youth and energies of parents. So how do we attract more youngsters to the world of sailing? How do we grow the next set of CRSA members? How do we give kids that first taste of wind in their sails and the sound of the hull slicing through the water? How do we up our game? How do we attract more resources to run our youth sailing programs? 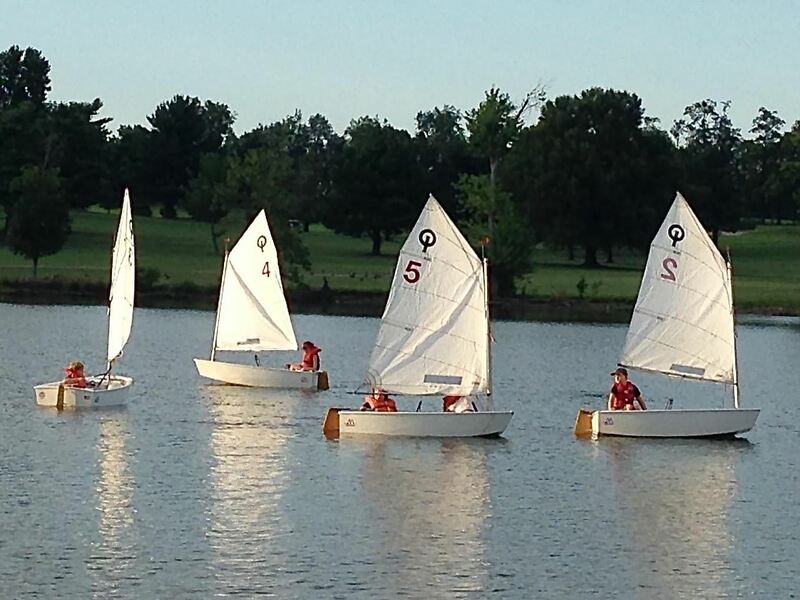 How do we expand our youth sailing offerings? We need people. We need boats. We need gear. We need collaborations. Maybe We Need More Donations? The Cave Run Sailing Association (like most neighborhood associations, recreational, and social clubs) is classified as a 501(c)4 by the IRS. To qualify as tax-exempt, we must not be organized for profit and must be operated exclusively to promote social welfare. Importantly, the litmus tests for various forms of tax status are quite narrow, and CRSA is appropriately classified as a 501(c)4. But, 501(c)4 status is also limiting since donations made to CRSA are not tax deductible and we do not qualify for many grant opportunities that might come our way. However, many of the activities conducted by CRSA do serve the greater good – and not just our membership. This is particularly true in the area of youth sailing, where over the years we have offered free (or for minimal costs) sailing classes for children, girl and boy scouts, and sea cadets. Furthermore, there have been other opportunities to increase our program offerings to other groups, including the economically disadvantaged, but we’ve not had the resources. For years, maybe decades, various members of the CRSA have talked about forming a non-profit that could attract more donations to our youth sailing program. Several members have worked towards that effort and we sincerely thank them. And quite honestly, Chuck would not sit still until we did something about it. But it’s not been easy. For the last year, CRSA diligently jumped through all the bowline knots of US tax laws. We wrote the Articles of Incorporation (AIC), registered with the state of Kentucky, “elected” officers, and applied to the IRS. We finally received word in early November that the Cave Run Youth Sailing Academy has been approved as a 501(c)3! To establish and operate a school dedicated to teaching youth the science and art of sailing boats. This school is organized exclusively for charitable and educational purposes under section 501(c)(3) of the Internal Revenue Code, or the corresponding section of any future federal tax code. What Does This Mean to the Club? From a monetary perspective, we will have to keep separate financial records for CRSA and the Academy (thanks Michael!). We will also have two separate tax filings, but that is relatively simple. We will also have two separate boards, but members of the CRSA Executive Committee can also serve on the Academy board. Most importantly, we hope that it will allow us to attract more resources to the youth sailing program. Your donations to the Cave Run Youth Sailing Academy are now tax-deductible!! Boats in very good to excellent working order (particularly those appropriate for youth such as Opti’s and sunfish), gear, and of course monetary donations are all appreciated. (Just keep in mind that we do not have a repair staff to perform the fiberglass repair you’ve avoided or overhaul that old outboard.) But we also need people to help out! That could mean helping to teach classes, driving boats / trailers, administration duties, and so forth. We know your time is valuable, but anything you can contribute would be greatly appreciated. Need more information? Would you like to volunteer or serve on the board? Do you have a donation?